Mexican Economy Secretary Ildefonso Guajardo Villarreal. 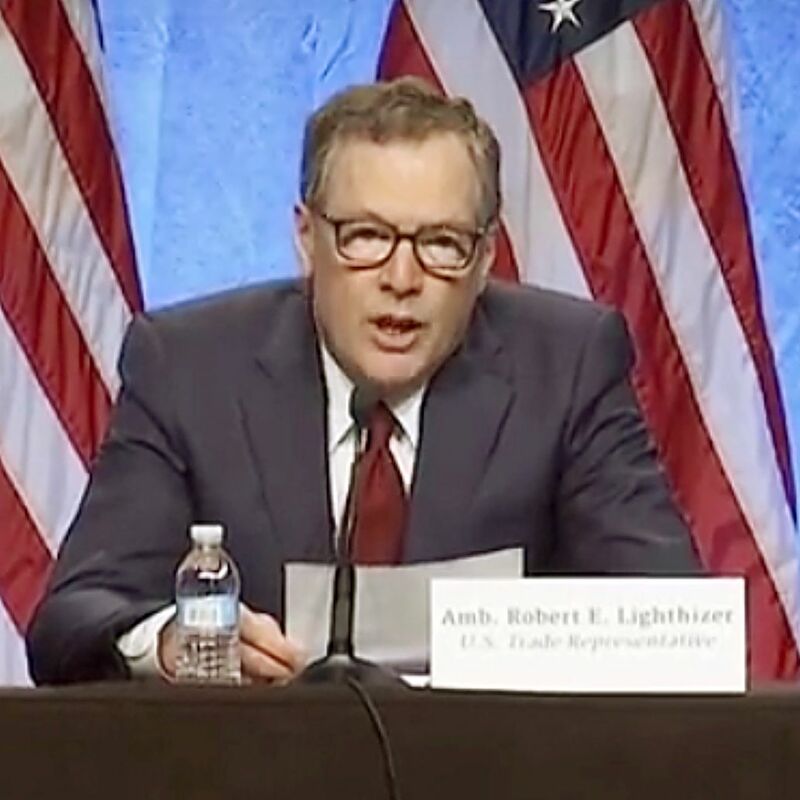 Trade Representative Robert Lighthizer advocated for the U.S. manufacturing agenda at a joint news conference on the first day of NAFTA negotiations. Lighthizer joined Canadian Foreign Minister Chrystia Freeland and Mexican Economy Secretary Ildefonso Guajardo Villarreal on Aug. 16 at the Marriott Wardman Park Hotel in the Woodley Park section of Washington. Lighthizer said NAFTA "fundamentally failed" in many ways and emphasized that the situation for U.S. manufacturing must be improved. U.S. farm leaders have expressed concerns that a hardline U.S. manufacturing agenda could lead Mexico and Canada to take a tougher stance on their U.S. agricultural imports. "For many of our farmers and ranchers, Canada and Mexico are their largest export markets. Americans send billions of dollars of corn and soybeans and poultry across our borders to dinner tables throughout North America," Lighthizer said. Lighthizer added farmers and ranchers "ask little from their government," adding they are vulnerable because of current commodity prices. Lighthizer also said the United States wants "to promote science-based agricultural trade," which appeared to be a veiled reference to acceptance of biotechnology. NAFTA has worked for American farmers, "but for countless Americans, this agreement has failed. We cannot ignore the huge trade deficits, the lost manufacturing jobs, the businesses that have closed or moved because of incentives — intended or not — in the current agreement," he said. 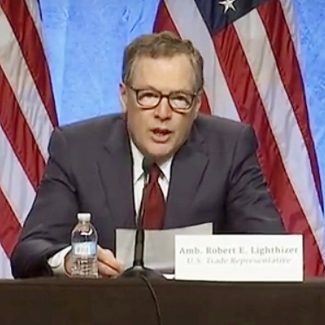 Lighthizer emphasized that President Donald Trump delivered on his campaign promise to renegotiate NAFTA and the U.S. goal to make changes to the manufacturing provisions to reduce the U.S. trade deficit. "For the first time, we will start to renegotiate a free trade agreement," Lighthizer said, and added other politicians promised a renegotiation for years, but Trump is actually starting it. He also said he "completely" shares Trump's view, and he's "not interested in a tweaking" or rewriting a few NAFTA chapters. The U.S. deficit in sales of manufactured products cannot be ignored, Lighthizer said. Studies have shown at least 700,000 American jobs — including thousands of factory workers — have been lost "due to changing trade flows resulting from NAFTA," but many people believe the number is much higher, Lighthizer said. Before NAFTA, the United States and Mexico had "balanced trade," but the United States now has a huge deficit with Mexico, he said. The manufacturing provisions need to make sure the huge U.S. trade deficits do not continue, Lighthizer said. 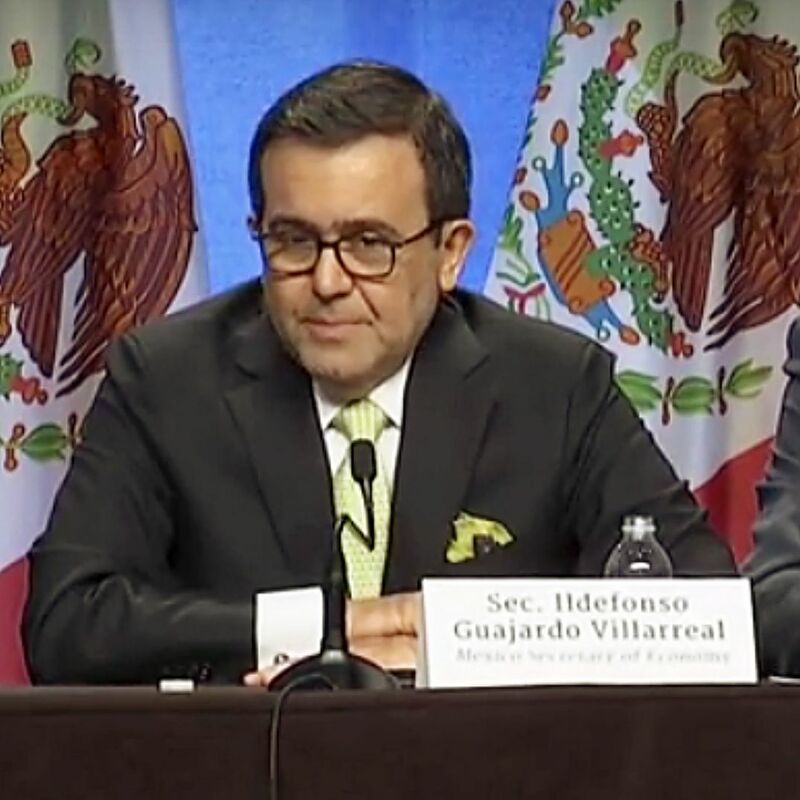 Among the provisions that need work are rules of origin to require a higher level of verified content from the NAFTA countries, effective provisions against currency manipulations, dispute settlement and guards against the market distorting practices of other countries including dumping and use of state-owned enterprises, he said. 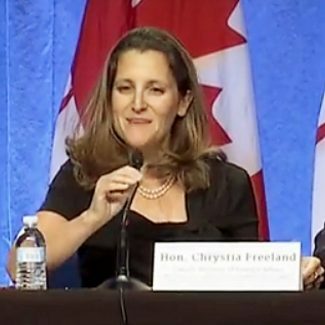 Freeland, who spoke in English, French and Spanish, emphasized the North American countries are one region. She also stressed that, even though the United States has a trade deficit with Canada, the country buys more from the U.S. than China, the United Kingdom and Japan combined. Villarreal, who spoke briefly in Spanish before switching to English, said Mexico wants to be sure to preserve what works in NAFTA and wants a "win, win, win" for all three countries.